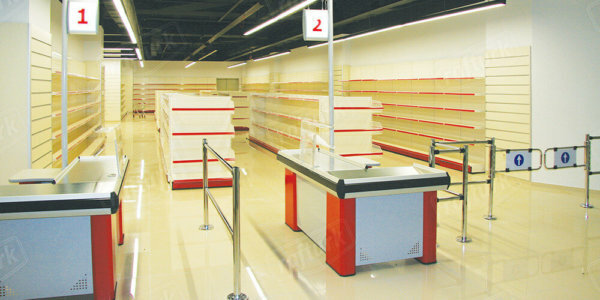 Recently, one of the widely acclaimed system is supermarket shelving. 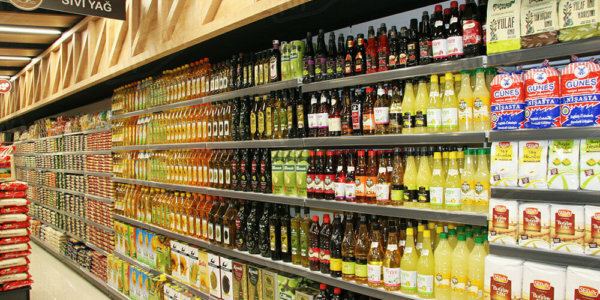 In the modern times, changing and developing shopping habits, the necessity of using time and space efficiently led to the need for an improved racking system. 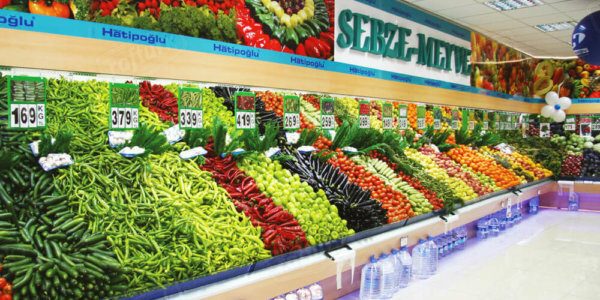 As the name suggests, supermarket shelving systems are mostly used by grocery stores and supermarkets for the identification of food and non-food products. However, it can also be used in many industries such as glassware, hardware, paint, toys, flowers, shoes and textiles. 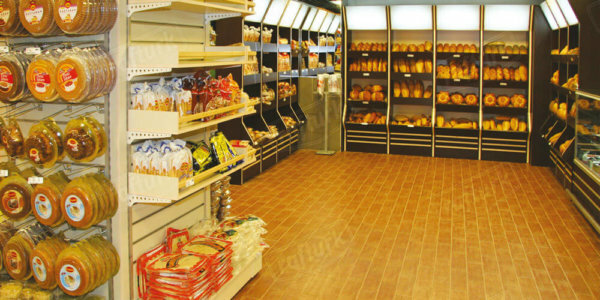 Supermarket shelves with fast storage facilities developed in accordance with the demands of modern times are generally 225 cm in height and this size can be changed according to the dimensions of the ceiling to be installed or the request of the customer. 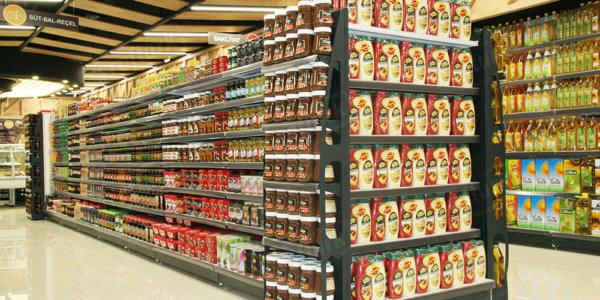 Supermarket wall units generally come from 40 cm base, upright, 30 cm market shelf, back panel, bracket, price tags and strip. Although white and cream colors are generally preferred, there are many color options suitable for decoration preferences of the markets. It can be designed to be compatible with other market accessories and market equipment. Wooden shelves are also produced beside steel. 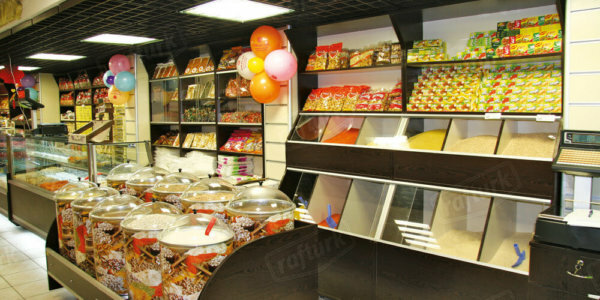 Our customers choose from all these options according to their taste. 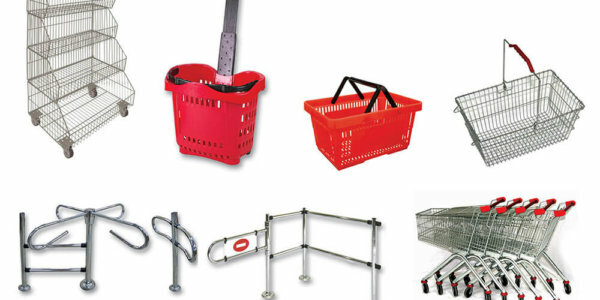 Rafturk also provides fruit and vegetable display racks, bakery units, L shaped checkout counters and U shaped checkout counters, supermarket accessories such as supermarket trolleys and supermarket hand baskets, wheeled supermarket hand baskets and all kind of units for your supermarket business needs.